Home / Football / FIFA vs Football Manager: Which is Better? 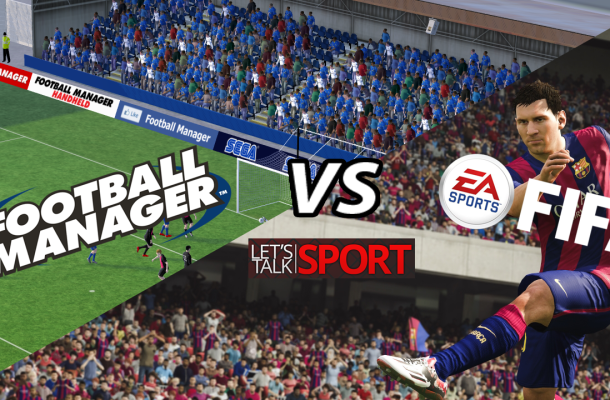 FIFA vs Football Manager: Which is Better? So which football video game is top of the range? Is it Football Manager? Or EA’s FIFA? Jamie Davies separates the handbags of Dan Middleton (FIFA) and Harry Wright (Football Manager) as they speak for their favourite virtual football game. What’s your favourite football video game of all time? We want to hear from you. Please COMMENT below and SUBSCRIBE to Let’s Talk Sport‘s YouTube channel.